*Disclosure: I received a complimentary meal from Bahama Breeze in exchange for this post. The opinions expressed here, however, are my own. It's no secret that I'm a big fan of Bahama Breeze - there's a location right down the street from me, and another one on my parents' side of town, too. I attended Rumtoberfest back in 2014, as well as in 2013, so I was excited to get the chance to return again this year for the promotion. Despite it's name, the promotion actually goes until November 6th, so there is plenty of time to drop by your local location to try out Rumtoberfest. 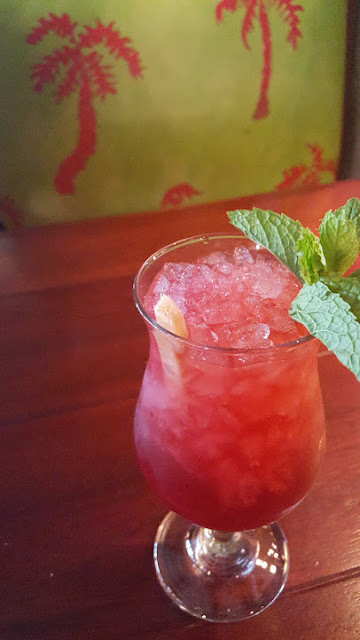 My mom and I dropped by the Troy, MI location before a movie screening last week, and I tried out one of the restaurant's new rum drinks, the High Tide Swizzle, which ended up being great. 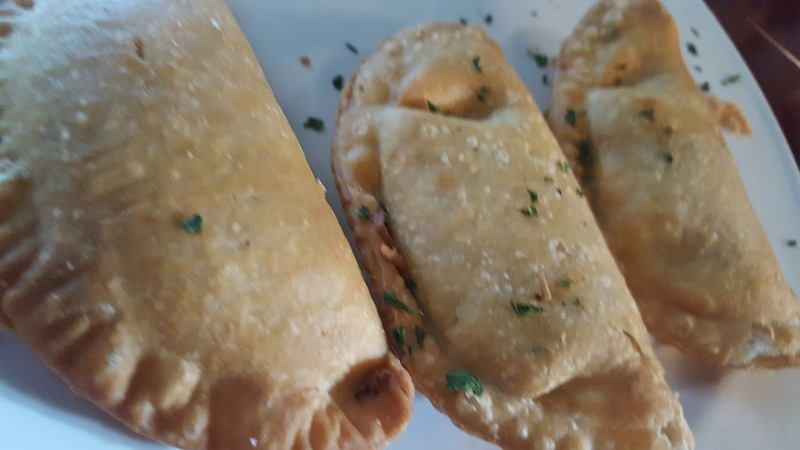 Bahama Breeze does a great happy hour, too, so we ordered some onion rings, beef empanadas, and a chicken quesadilla to split. The beef empanadas are one of my favorite dishes there, and the onion rings come with a citrus mustard that is delicious. 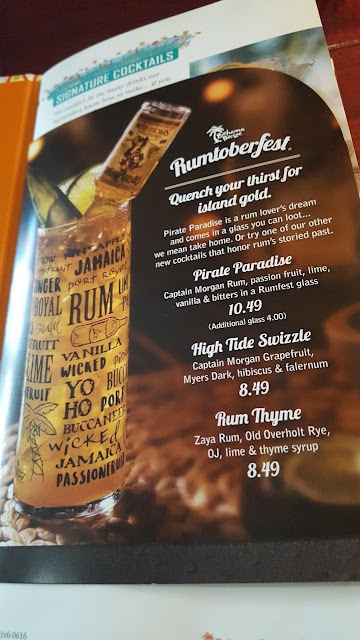 The High Tide Swizzle, the drink I ordered, has Captain Morgan Grapefruit, Myers Dark rum, hibiscus, and falernum - I had to look up falernum later to see what it was, and it's a "sweet syrup used in Caribbean and tropical drinks." The drink was garnished with a sprig of mint, too, and some sort of stick - the waitress said it was a cane sugar stick. The drink was pretty tasty. I'm usually a fan of sweeter drinks, and I'm more of a vodka or rum fan than tequila or other hard liquor, so I liked this one. 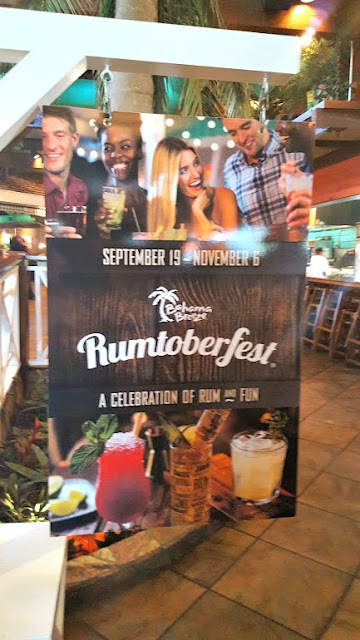 Here are some of the promotions that Bahama Breeze is doing for Rumtoberfest - don't miss out! We’re keeping the fun going throughout Rumtoberfest, with games, prizes, specials, live music, fortune tellers and other activities at all 36 Bahama Breeze locations every Friday until Nov. 4. Pirate’s Paradise – This cocktail gets its name from Port Royal, Jamaica’s infamous pirate city. Served in an exclusive take-home glass, this drink features lime, passion fruit, ginger, vanilla and bitters, with an upside-down 50-ml bottle of Captain Morgan. Rum Thyme – This drink was created in the spirit of Prohibition-era rum runners who brought ships of whiskey and rum into the U.S. from the Caribbean. It features Zaya Rum, Old Overholt Rye, orange juice, lime juice and thyme syrup. High Tide Swizzle – The swizzle pre-dates the cocktail and is one of the Caribbean’s original rum drinks. The word “swizzle” comes from the stick (literally a stick from a tree) that was once used to mix the cocktail and add bittering flavors. 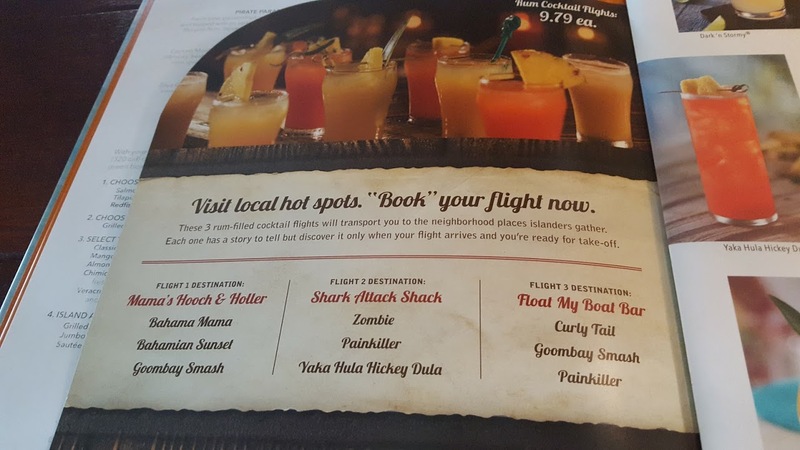 Mama’s Hooch and Holler, featuring Bahamian Sunset, Bahama Mama and the Goombay Smash. Shark Attack Shack, featuring Yaka Hula Hickey Dula, Zombie and Painkiller cocktails. Float My Boat Bar, which includes the Curly Tail, Painkiller and Zombie cocktails. Pick Your Own Rum Flight … served with a side of Coke, or treat yourself to three world-renowned Caribbean rums, like Barbancourt 15 Year Estate Reserve, Flor de Cana 18, and Don Q Gran Anejo. 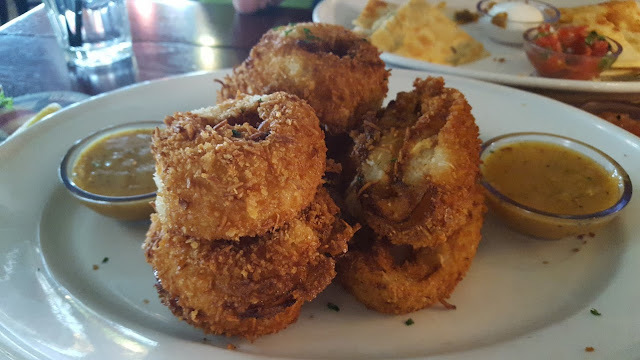 Visit Rumtoberfest.com for more information, as well as rum tips, recipes, videos, interactive games and to be eligible for our sweepstakes. Have you ever been to Bahama Breeze before? Click here to see if there's a location near you.